In the cases of the cow, the pig, and the goat he succeeded, yet one animal always seemed to stubbornly resist his power; the humble spider. That is no more. 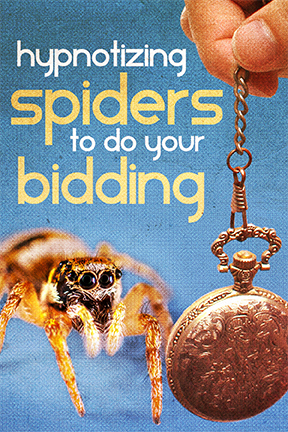 Now anyone age six and up is capable of enthralling their very own spider and bending them to their will simply by reading this instructional booklet.